Home » Viral Posts » Do You Thinks This Is Not A Rotting Old Tree?No It Is Not!!! Do You Thinks This Is Not A Rotting Old Tree?No It Is Not!!! Appearances can be deceiving and perceptions subject to change. At first glance this tree looks a little sad, like it's fallen and rotting away. But as you look closer, you will notice that there's something very special about it.It's sculpture of a city-scape carved into the tree! 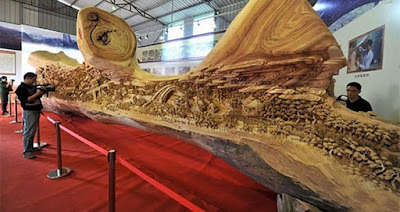 Originating from China, tree carving has been a long practiced art form. With nothing but chisels artists create negative space within trees and other parts of wood, to form amazing sculptures. Zheng Chunhui is the artist who worked hard for four years to create this amazing wood carving. 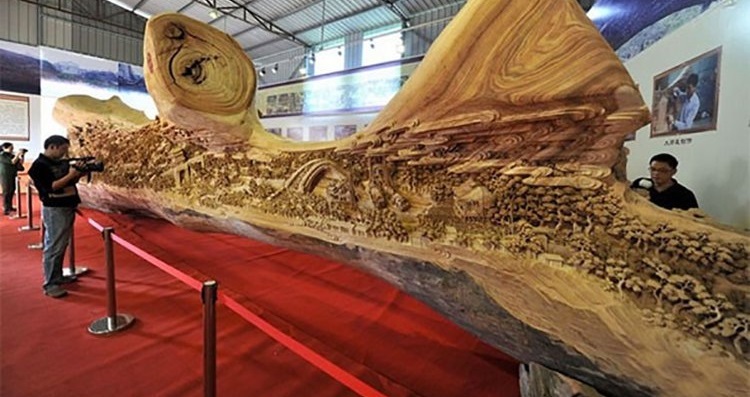 It's the world's longest continual wood carving, named Along The River During The Quinming Festival. The sculpture covers a total area of 39 feet. Within this area, 550 individually carved figures depict a festival in the springtime along a river. Incredible craftsmanship!.